Everybody wants a safe place to reside and that is the reason we have a home. It is a common human tendency to provide security to the place he lives and the residents inside. From stone age humans have found ways to protect their home. It started from fires to making walls and enclosures and we have to this era where we even install close circuit cameras to ensure the safety of our home. Goggle has brought us a new technology that will help us in ensuring that there is no foreign object where we live. Google’s latest object recognition technology can spot everything in your living room. 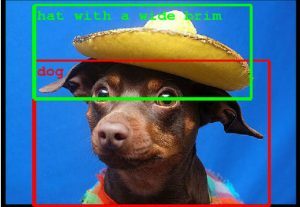 As IFA was winding down on Friday, Google released a blog post detailing its latest object recognition technology, which Google research team ‘GoogLeNet’ used to place first in the classification and detection categories of the world’s largest academic competition for computer vision: the ImageNet large-scale visual recognition challenge. Automatic object recognition in images is currently tricky. Even if a computer has the help of smart algorithms and human assistants, it may not catch everything in a given scene. Google has taken a giant leap in changing this. it just detailed a new detection system that can easily spot lots of objects in a scene, even if they’re partly obscured. The key is a neural network that can rapidly refine the criteria it’s looking for without requiring a lot of extra computing power. The result is a far deeper scanning system that can both identify more objects and make better guesses — it can spot tons of items in a living room, including (according to Google’s odd example) a flying cat. The technology is still young, but the internet giant sees its recognition breakthrough helping everything from image searches through to self-driving cars. Don’t be surprised if it gets much easier to look for things online using only vaguest of terms. In machine learning and related fields, artificial neural networks (ANNs) are computational models inspired by an animal’s central nervous systems (in particular the brain) which is capable of machine learning as well as pattern recognition. Artificial neural networks are generally presented as systems of interconnected “neurons” which can compute values from inputs. For example, a neural network for handwriting recognition is defined by a set of input neurons which may be activated by the pixels of an input image. After being weighted and transformed by a function (determined by the network’s designer), the activations of these neurons are then passed on to other neurons. This process is repeated until finally, an output neuron is activated. This determines which character was read. Google has based its Object recognition technology along the same lines and has provided us with an engine which has efficiency not yet witnessed by the world. Of course, Google isn’t keeping its latest breakthroughs to itself. Google’s reach team participated at the ILSVRC on an open submission, which means the exact details of the approach were shared with the computer vision community.